a. TERMINAL LEARNING OBJECTIVE. In a summer mountainous environment, maintain mountaineering equipment, in accordance with the references. 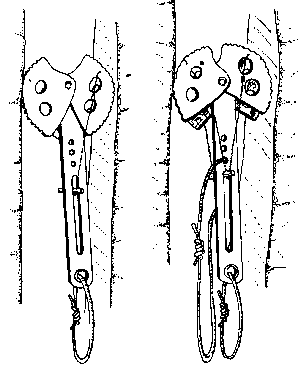 (1) Given a diagram of a steel-locking carabiner and without the aid of references, label the parts of a carabiner, in accordance with the references. (2) Without the aid of references, list in writing the advantages of nylon rope, in accordance with the references. (3) Without the aid of references, list in writing the disadvantages of nylon rope, in accordance with the references.